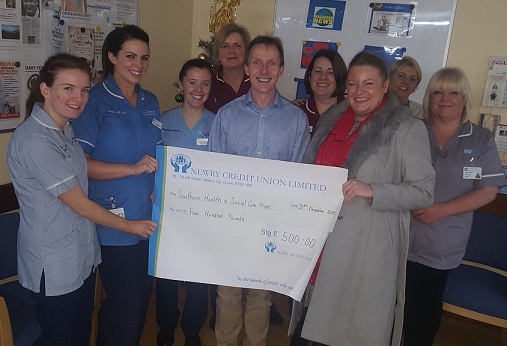 Noelle Jackson, a former dialysis patient from Newry has presented a very generous £500 donation to Daisy Hill’s Renal Team. It followed her successful kidney transplant in August 2018. The team thanked Noelle on behalf of the Trust for her donation, which was raised through an event with Newry Credit Union. The team wished her the very best of health with her new kidney.